What would constitute a definitively "green" state? 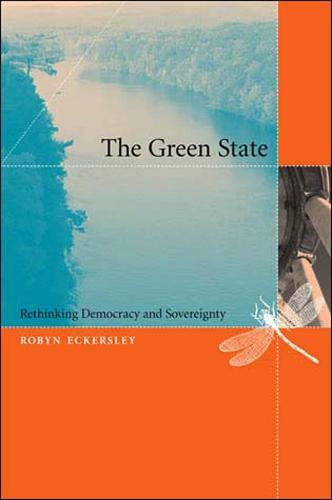 In this important new book, Robyn Eckersley explores what it might take to create a green democratic state as an alternative to the classical liberal democratic state, the indiscriminate growth-dependent welfare state, and the neoliberal market-focused state-seeking, she writes, "to navigate between undisciplined political imagination and pessimistic resignation to the status quo." In recent years, most environmental scholars and environmentalists have characterized the sovereign state as ineffectual and have criticized nations for perpetuating ecological destruction. Going consciously against the grain of much current thinking, this book argues that the state is still the preeminent political institution for addressing environmental problems. States remain the gatekeepers of the global order, and greening the state is a necessary step, Eckersley argues, toward greening domestic and international policy and law. The Green State seeks to connect the moral and practical concerns of the environmental movement with contemporary theories about the state, democracy, and justice. Eckersley's proposed "critical political ecology" expands the boundaries of the moral community to include the natural environment in which the human community is embedded. This is the first book to make the vision of a "good" green state explicit, to explore the obstacles to its achievement, and to suggest practical constitutional and multilateral arrangements that could help transform the liberal democratic state into a postliberal green democratic state. Rethinking the state in light of the principles of ecological democracy ultimately casts it in a new role: that of an ecological steward and facilitator of transboundary democracy rather than a selfish actor jealously protecting its territory.